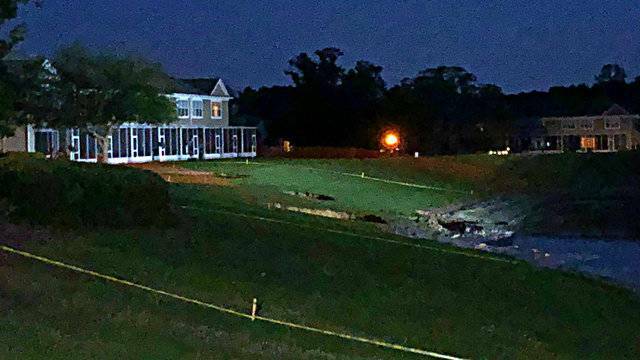 OCALA, Fla. – An area of an Ocala community has been taped off after at least eight possible sinkholes opened Wednesday and Thursday, officials said. The holes opened up on a hillside leading to a retention pond, forcing rescue crews to evacuate people from a row of town homes. Ocala Fire Rescue said eight town homes were evacuated Wednesday night in the Wynchase Townhomes complex on Southwest 42nd Place after the holes began forming earlier in the day. 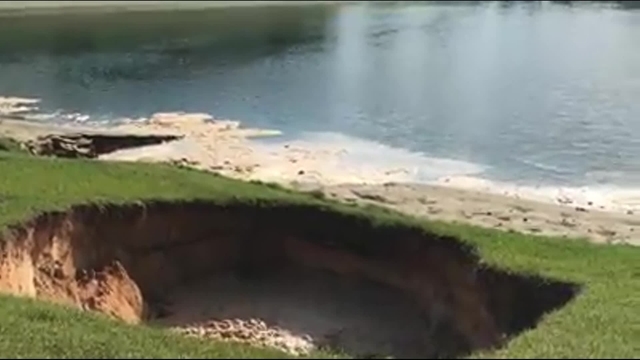 Video posted by Ocala Fire Rescue shows one of the holes opening and water rushing into the bottom of it. Engineers surveyed the area with ground-penetrating radar, but have not yet determined if they’re sinkholes. It’s not known when residents will be able to return home. “I’m a little nervous,” said Stacy Guzman, who lives in the complex. Neighbors shared her fears. Richard Morang said he’s been hearing strange noises inside his town home, and he hasn’t been evacuated. Shannon Cole said he’s been able to go into his home at his own risk, but he can’t stay there. “We’ve been dealing with so much. Scared to death to lose our home right now,” he said. Cole said some of the holes opened suddenly. Cole said the situation is taking a toll on him and his family. Cable crews told News 6 the moving earth cut a fiber optic line carrying cable television to the complex. In the meantime, a monitor is watching the site, keeping an eye out for any more movement in the ground.